When I was writing my Master’s Thesis, doctor Josep Maria Fontana (Universitat Pompeu Fabra) passed his curiosity about the origin, evolution and behavior of passive structures on to me. In that work I reviewed the different types of participles in Catalan and Spanish and I proposed that “passive voice” in Romance languages is an interpretative epiphenomenon, obtained as a result of the interaction of an eventive participle with a marked tense of the copula ‘to be’ (ser) or some aspectual element. This work has not been published in a journal, but feel free to contact me should you be interested in reading it. It was when I was writing my M.A. thesis that I noticed that there were still several unanswered questions in the world of non-personal verbal forms and that, if I worked hard, I could write a doctoral thesis that would make profitable and interesting theoretical contributions to this field. Thus I proposed it to my PhD supervisor, doctor Gemma Rigau (Universitat Autònoma de Barcelona) and we decided to immerse ourselves in this adventure that, for the moment, has been going on for 3 years. 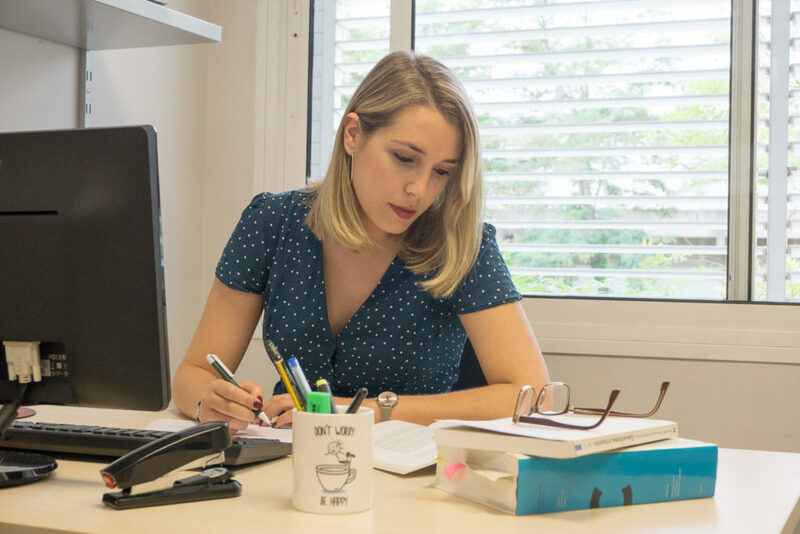 Currently, I am a predoctoral researcher at the Centre de Lingüística Teòrica of the Autonomous University of Barcelona. In my PhD thesis I study the internal structure and the combinatorial properties of non-personal verbal forms, especially of the participles. More specifically, I study their syntactic behaviour in different Romance languages, taking Catalan as the baseline. I also review the cases of those participles which have an anomalous behavior, as well as combinations and unexpected uses that emerge in these languages. This has led me to make incursions into the world of copulative, quasicopulative and auxiliary verbs, case assignment, prepositions and relational structures, and the lexical syntax of Hale & Keyser, among others. In 2017, I did a research stay at the University of Tromsø (The Arctic University of Norway – UIT), in Norway, with Antonio Fábregas as my supervisor. From him I can only corroborate what everyone knows: that he is an infinite source of wisdom, that he works at a supernatural rate and that every year publishes more articles than a whole department together (and he also cooks delicious “pancakes”!). In Tromsø I worked with the members of the CASTL (Center for Advanced Study in Theoretical Linguistics), to whom I am very grateful for the training I received during my stay. So far, my desire to receive feedback, to exchange ideas with other colleagues and to receive nourishment from expert linguists, has led me to participate in different national and international conferences and to disseminate my work in various publications (not many, I am still a researcher in progress). In addition to the theoretical contributions to formal analysis, I am interested in the study of variation and microvariation in Romance languages, comparative linguistics and the evolution of language. I am a member of NEON (Neoconstructionist approaches to Spanish, Catalan and Basque), an international research network coordinated from UiT Arctic University of Norway and currently involving researchers from different countries in Europe and America, who work on the neo-constructionist analysis of ‘morphological’ objects in Spanish, Basque and Catalan. 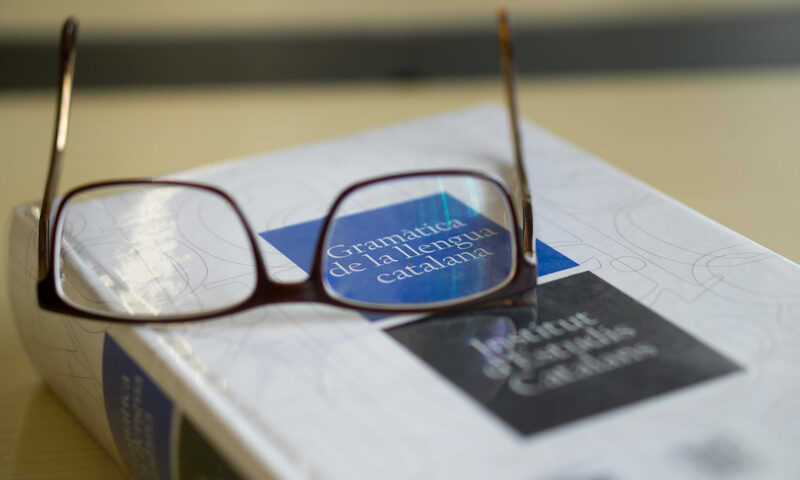 I am also a member of the SIGGRAM project (Significado y Gramática), a network on Meaning and Grammar, integrated by researchers from the Autonomous University of Barcelona, Pompeu Fabra University, University of the Basque Country and University of Alcalá de Henares. Recently, I also joined the FARM (Formal Approaches to Romance Microvariation), a research network that involve both senior and junior scholars in formulating research questions on the grammar of Romance varieties. My research is finantially supported by a predoctoral fellowship of the Training Program for University Teaching of the Ministry of Education of the Government of Spain (FPU14 / 04776) and it also has the financial support of the Generalitat de Catalunya (2017SGR634) and the project “Variation in the lexicon-syntax interface” (FFI2014-56968-C4-1-P) of the Ministry of Economy and Competitiveness.